Too many of our brothers and sisters, especially people of color, are locked up and shut out of our economy. 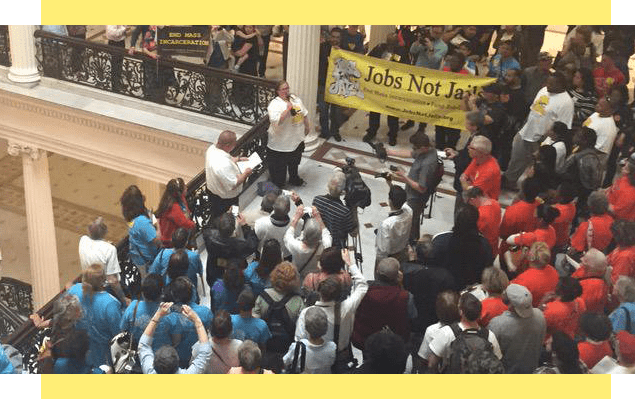 The Jobs NOT Jails Coalition needs your help to end racial disparities in our justice system and to get people back to work. Millions are spent on mass incarceration that need to be re-invested into jobs, training, re-entry programs, and into communities.